Engineering, delivery, installation and maintenance of exhaust gas boilers of leading international producers for utilization of the exhaust heat energy in hot gases. 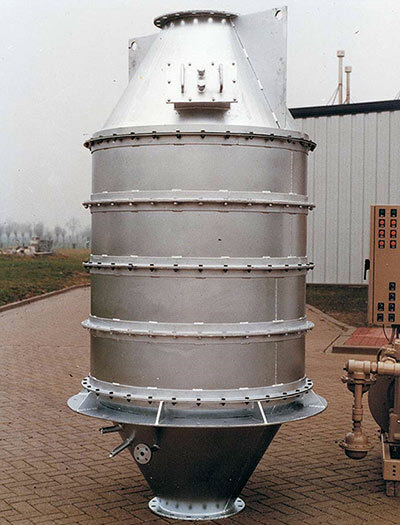 The exhaust gas boilers are designed for operation with all sorts of exhaust hot gases without limitation in temperature, aggressiveness and abrasiveness of the contaminants. A wide range of capacities – from 100 kg. to 120 tones of steam per hour or from 100 kW to 100 mW. Operating pressure of the fluid – up to 100 bars. Operating fluids: water, water solutions, thermal and synthetic oils, saturated and overheated steam. Sources of exhaust hot gases: kilns, incinerators, industrial combustion engines, cooling compressors, pumps, etc. Using special materials to enhance the reliability and duration of the lifetime.